If you or a family member has suffered a serious burn injury from an explosion or fire, you know that the pain goes more than skin deep. You may be facing years of medical treatment and physical and psychological rehabilitation, as well as a lifetime of scarring and disfigurement. 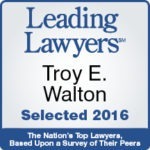 Walton Telken fights for people who have suffered serious and catastrophic fire injuries, such as burns. We are a personal injury litigation firm with attorneys who have significant trial experience. Our experienced trial lawyers know how important your case is to you and your family. That’s why we promise to be responsive to your needs and committed to fighting effectively to help you get maximum money damages whether by settlement or jury verdict. Contact us to discuss your burn injury claim. We provide a free consultation during which we will give you a clear explanation of the law and an honest assessment of your case. We handle all fire and burn injury cases on a contingency fee basis. That means we don’t get paid until you get paid. Construction sites are among the most dangerous work environments. Every day, construction workers work with dangerous equipment, often among subcontractors who don’t always have the training they need. If you have been burned or severely shocked while working on a construction site, you may be entitled to recover more than just workers’ compensation benefits. We can assess whether a third party may share additional liability for your injuries and losses. Contact us today to schedule a free consultation to discuss your burn or explosion injury.